I'm not entirely certain how that happened. The last thing I remember, it was October. But suddenly my 12 Days of Cookies from the Food Network is arriving in my inbox, and most of my meals seem to be candy, both unmistakable indicators that the holidays are upon us. Not that I'm complaining--this is my favorite time of year. I'm just surprised to see it here already. I'm sure we're all in the same boat, frantically knitting away on projects that absolutely must be done by December 25. Or December 24, so we have time to wrap them. This year my sister wants a scarf, Dad is getting a guitar strap, CP needs a cowl, and Mom's gift is still a mystery because whatever it is will just be stashed in a dresser drawer, so I'm finding it hard to pick anything worthy of that fate. 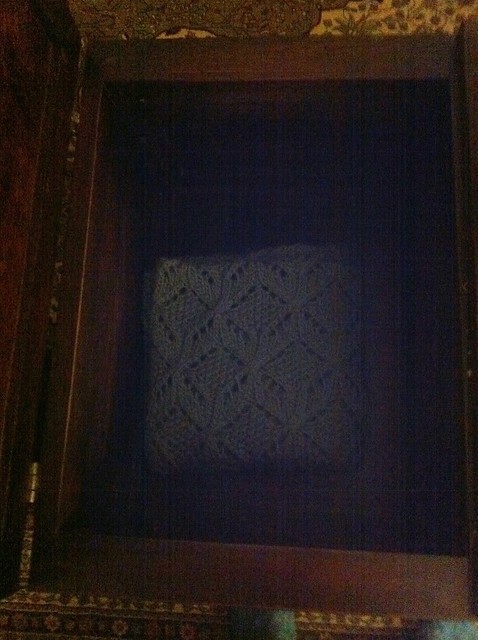 I've also added my aunt to my knitting list, since she's gotten in the habit of giving me yarn for gift-giving occasions--it would be more exciting if the yarn weren't 100% acrylic and purchased at Rite Aid in 1986, but it's the thought that counts. 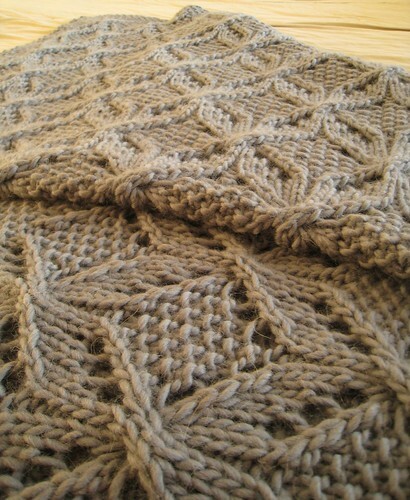 The good news is, I'm free to work on all of those projects, because I finished Umaro! I tried to artfully drape the blanket across the bed, but unfortunately it looks more rumpled than anything else. 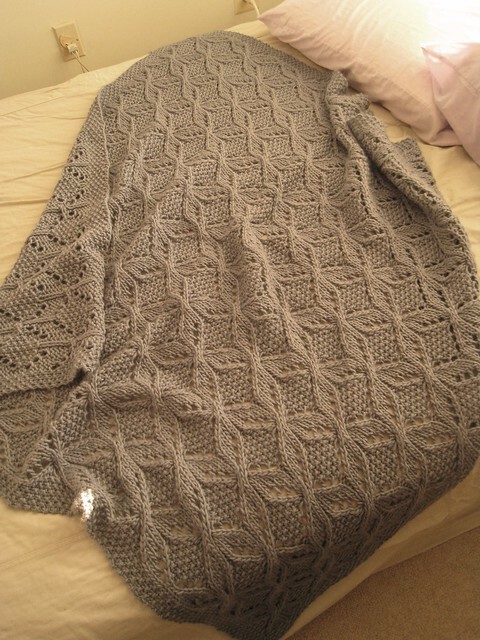 Finished, my blanket wound up about the width of a full size bed, and about a foot shy of the length, perfect for snuggling under on the couch. I cast on 12 extra stitches to start, adding a pattern repeat, because I couldn't stomach knitting on size 15 needles, and moved down to 13. I did the exact number of chart repeats called for in the pattern, but could've easily added another with the amount of yarn I had--I was just ready to be done knitting. 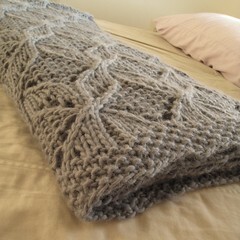 I already told you guys I didn't really have fun knitting this blanket, but as predicted, I love the blanket itself. So warm. So snuggly. Such a sense of accomplishment. A whole blanket! ﻿He truthfully hasn't spent much time there because I've been using him so much (as has CP, who wears short sleeves year round and then complains about the cold), but I love seeing him folded up in there nonetheless--a dream partially achieved! Completely unrelated: cherry cordial M&Ms--not that good. Stick with the Hershey Kisses version.